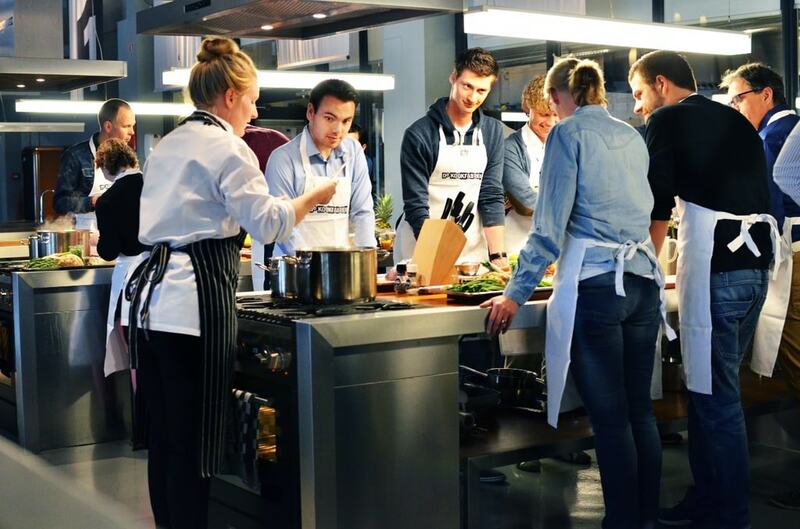 There’s something truly special taking classes with professional chef or experienced cooks, and thankfully there are plenty of cooking classes available in Amsterdam. These courses include several workshops around classic, international cuisine and others that focus on modern, cutting-edge gastronomy. Toko Dun Yong contains six floors of Asian goods and products, ranging from fresh daikon radishes to authentic Chinese tableware. This multi-storey retail centre features a cooking studio on its first floor (that moonlights as a lunchtime ramen bar from Wednesday to Sunday). Several different types of cooking classes take place inside this studio throughout the month, including workshops that focus on Korean, Indian and Vietnamese cuisine. At this 1.5 hour long course students learn to create several meals based on classic Dutch recipes such as roasted beetroot salad or apple pie topped with stroopwafel crust. The course takes place inside a custom-built kitchen that features 18 individual workstations and accommodates up to 240 participants. Drinks are freely available throughout the course and it is possible to stock up on Dutch delicacies afterwards at an onsite gift shop. Mediamatic organises several ongoing workshops throughout the month that involve avant-garde and innovative gastronomy. 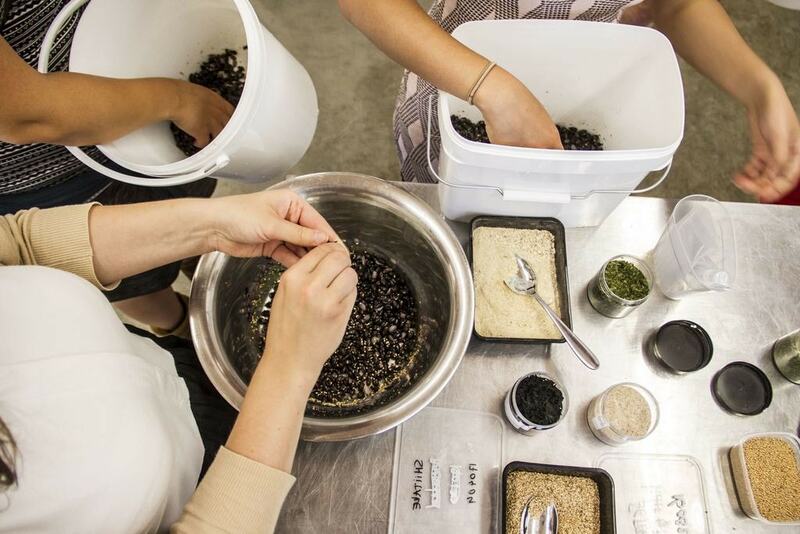 These courses tend to focus on obscurer facets of food production such as fermentation or fungi cultivation and engage with contemporary development within the culinary arts. Mediamatic hosts many other workshops inside its state-of-the-art headquarters on Dijksgracht including classes that revolve around the organisation’s aquaponic greenhouse. Moederskeuken offers budding gourmets the chance to participate in a wide variety of cooking workshops that range from introductory tapas lessons to advanced classes covering venison and game. After completing a class students are given another two hours to enjoy each others food and socialise. Moederskeuken organises courses at several locations throughout Amsterdam including spots near Centraal Station, Nieuwmarkt and Spaklerweg. Amsterdam’s five-star Okura hotel hosts several cooking workshops every month that are helmed by master chef Louise O’Hare. These classes are tailored around cooking techniques employed by Michelin star chefs and mainly involve preparing haute cuisine dishes. There are several types of courses available at Okura including Japanese wagyu master classes and sessions that revolve around specific ingredients such as mushrooms. La Cucina del Sole organises popular Italian cooking classes that are geared towards individuals, groups and private parties. The school was founded by Italian cook Nicoletta Tavella over fifteen years ago and currently offers around twenty different cooking workshops. Each class at La Cucina del Sole covers different aspects of Italian cuisine and the school’s monthly calendar includes courses that cover several staple dishes such as risotto, pizza, gnocchi and pasta.